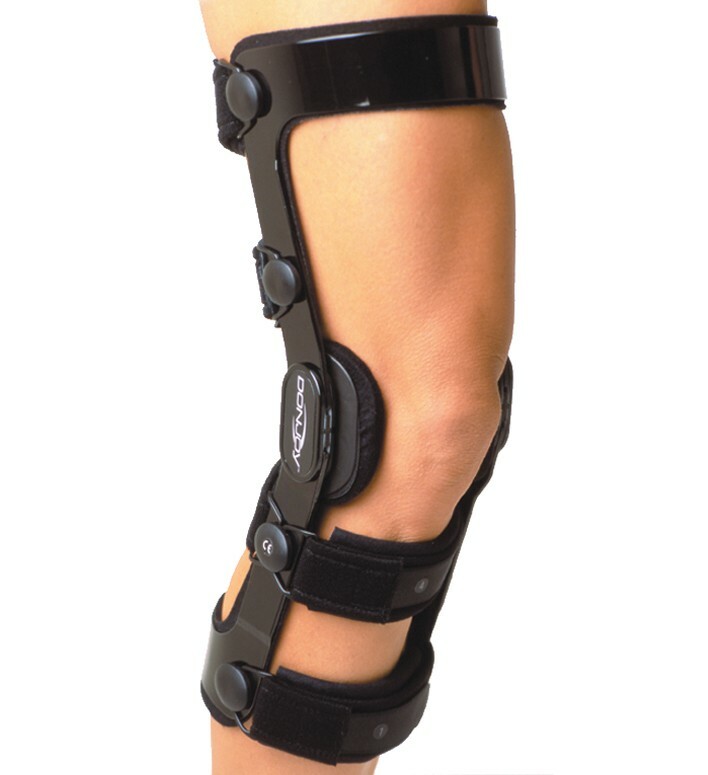 Get your knees completely protected with this ultimate brace while participating in any contact sports. The 4TITUDE™ is DonJoy's lowest-profile brace. Available in DonJoy's same 7 sizes, you also get your choice of 3 lengths, so it's perfect for those who are short or tall, and will easily fit women or men. So if you have mild to severe ACL, PCL, MCL, and LCL instabilities and are looking for solid support for the activities of daily living or non-contact sports, go for 4TITUDE™ and Never Stop Getting Better. Shop our complete selection of knee braces or browse additional DonJoy products. I an looking for a knee brace for someone with an isolated MCL injury, but the choices on the website are limited to ACL, PCL or combined. The person would be wearing the brace while playing American football. Which would be best for an isolated MCL injury without associated cartilage or ACL/PCL injury? Thank you very much. ACL strapping would be fine. Combined strapping is for someone with both an ACL and PCL injury. I'm 32 years old and I just had arthroscopic surgery on my left knee where my doctor found that I have severe osteoarthritis on my left knee and a full ACL tear. I would need full knee surgery later on in the future but suggested for me to use an ACL Brace to keep me active. They gave me a prescription to buy an ACL brace and would like to know which brace I would need to get for an active sports lifestyle. I also would like to know if you accept workers comp insurance cards to pay for the brace. Hope to hear from you. Thanks. Please note that the ProCare WeekENDER Recreational Activity Brace and ProCare EveryDAY Daily Activity Brace are not rated for sports. The 4titude is recommended for your previous injury and indicated activity level. Will this DonJoy 4Titude Knee Brace support the medial meniscus, Im very active, yoga, swimming, P90x, lots of running... I avg 5k per day. I'm 47 yrs old.